Your toddler only eats food that comes in shades of white. Your four-year-old hides peas in her napkin. Your kindergartener lives on a diet of hot dogs and mac ‘n cheese. What’s a concerned parent to do in the face of extreme pickiness? 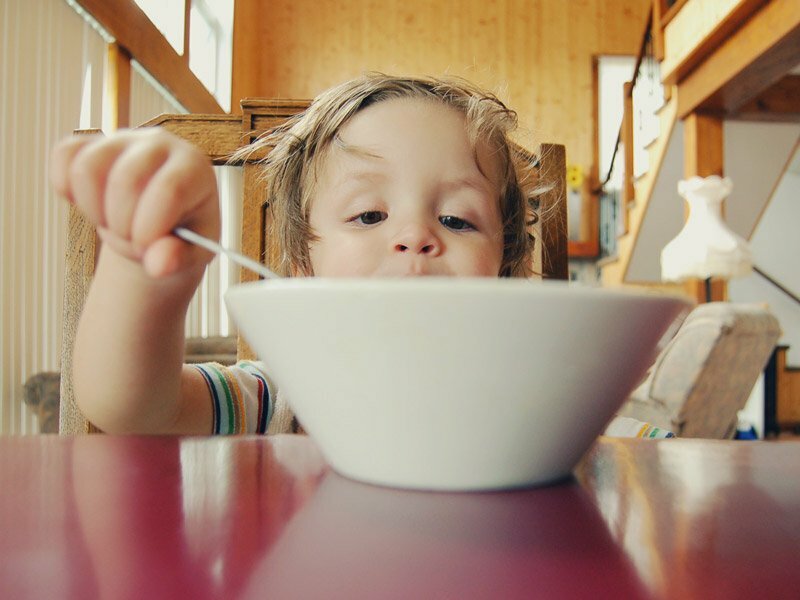 You’ve probably found yourself at all points on the feeding spectrum at some point – either force-feeding veggies, trying “clever” recipes like kale-infused brownies, or throwing up your hands and letting your child eat what she or he wants. Here’s the advice you may have thought you’d never hear: Relax. A recent University of Michigan study published in the journal Appetite set out to answer several questions: Should parents pressure kids to eat, and what are the consequences for kids’ weight and picky eating? Will a child who learns to eat everything becomes overweight, or will a child that has learned to eat veggies and other healthy food be able to avoid gaining weight? And what they found was that picky eating had no major adverse health effects on children. Need evidence? Here are 6 good reasons it’s fine if your child is a choosy eater. One of the most interesting results of the study was that trying to force a kid to eat healthier, in the end, has no bearing. “Parental pressure is having no effect, good or bad, on picky eating or weight in this population,” confirmed Julie Lumeng, director of the U-M Center for Human Growth and Development and a physician at C.S. Mott Children’s Hospital. Lumeng’s team found that insisting that kids eat food they don’t want to eat and picky eating goes hand in hand, but insisting kids eat those foods doesn’t cause the behavior or weight gain. Moreover, the study shows that using coercion to get children to eat food they don’t like can easily backfire. Mealtime tension gives children negative feelings both toward sitting down to eat… and towards their parents. The scientists found that a child’s growth and development was consistent regardless of eating habits. Of course, another reason some parents are hard on their children during mealtimes relates to the way the parents themselves were brought up. In my case, I was told to finish my beans and so I insisted on my son finishing his peas. Researchers have studied children’s choosy eating for 10-15 years, and all these studies have come to the conclusion that picky eating doesn’t negatively impact physical development. Only on extremely rare occasions is it so severe that it leads to nutrient deficiencies or poor growth. “In the end, it’s just not a serious behavior flaw that parents should expend lots of energy to eliminate,” Lumeng says. “Dealing with picky eating falls into the category of how can you do little things that might make meals better for everyone, but not squelch something that may be part of your child’s personality,” she said. Bottom line: picky eaters generally remain, picky eaters, whether or not their parents pressure them. So relax, your picky eater will turn out just fine.